Well, this will certainly be the most fun blog post I have ever written. Ever since I started to autocross at age 16 and watch the SCCA Runoffs on Speed TV, I have dreamed of winning an SCCA National Championship. I can now proudly say that I can cross winning a Solo National Championship off of my bucket list! Winning the Runoffs will still be a future goal, but I am going to enjoy this one for now. 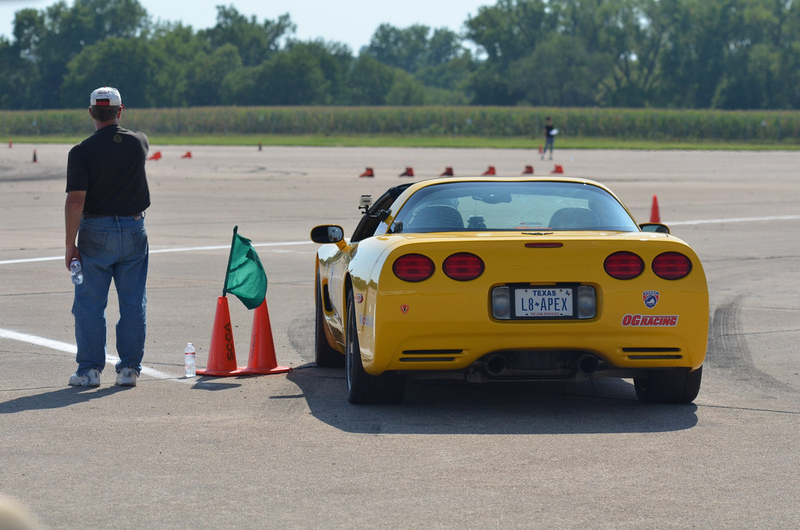 Lane and I decided to prep his 2004 Chevrolet Corvette for A-Stock class Solo Competition in Mid-July so only about 1 and a half months ago. 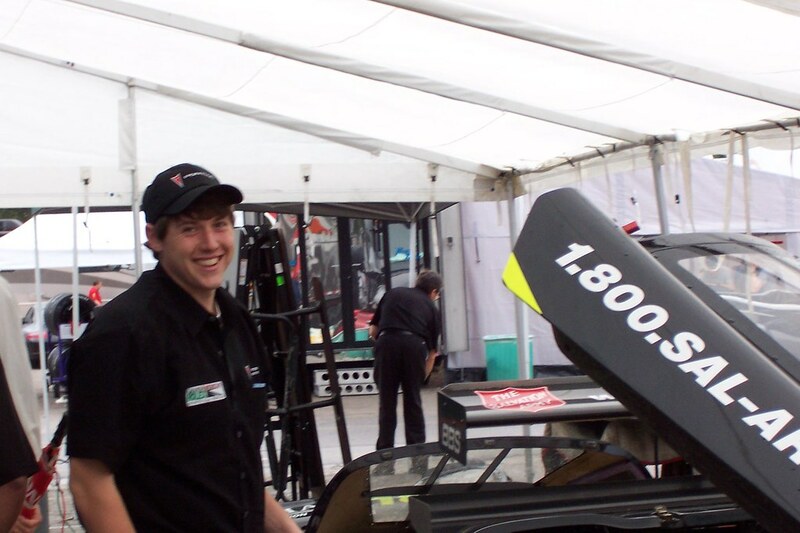 Since then, we have taken it from bone-stock to a National front-runner in the A-Stock class. All the late nights working in his garage and hours spent researching A-Stock legal suspension and engine modifications was totally worth it. After our test and tune sessions last Wednesday, Lane and I had a good base setup dialed in despite the limited testing time. We ran in the 5th and final heat for both of our race days on Thursday and Friday. 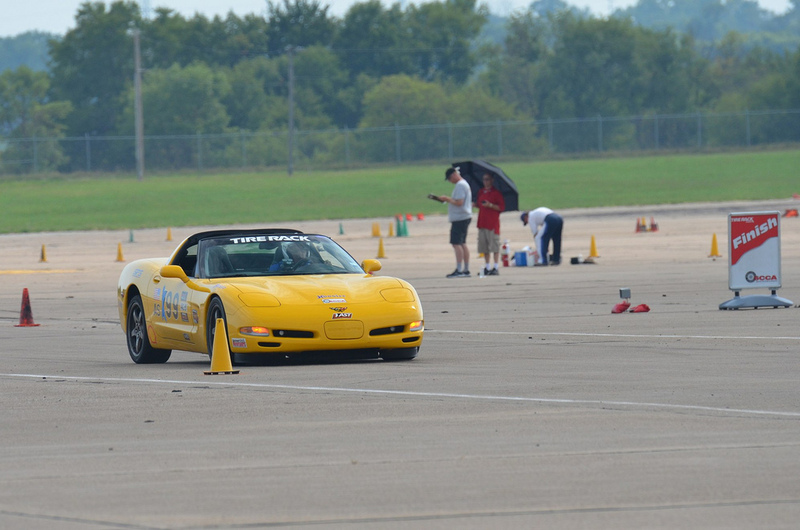 The A-Stock class featured 17 drivers including National trophy winners, a past Solo National Champion and a very talented Evolution School driving instructor all driving either C5 Chevrolet Corvettes or Porsche Caymans. For Day 1 of our competition runs on the West Course, I ran a class-leading 68.1 but hit one of the last cones on the course. 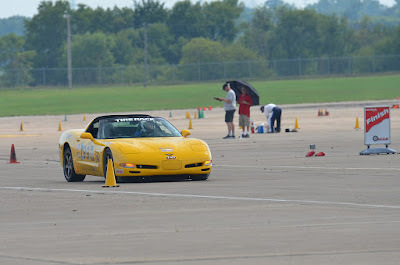 The West Course was a very challenging and tight autocross course featuring more slaloms than I have every seen on a course. On my 2nd and 3rd runs, I was able to run cone-free and clock in with a 69.2 and a 68.9 respectively. This was good enough for 4th place after Day 1. Carl Vanderschuit took the lead on Day 1 running a 68.6s lap which put me 0.3s out of 1st place heading into Day 2 on the more open and Corvette-friendly East Course. For Day 2, my strategy was to stay within myself and run a solid, clean lap on for my first run. As I crossed the finish line for my first run, I saw my Dad and Lane explode as I topped the Day 1 leader by 1.3s and moved into 1st place overall with a 65.6s lap. Right after my run, Junior Johnson came over to me, gave me a high five, and said to me, "there are only small improvements from here, go get a few tenths on your last two runs and you will win." Well, I took his advice and came home with the championship. I improved to a 65.3 on my 2nd run which gave a me a 0.5s lead going into the 3rd runs as Carl Vanderschuit improved to a 66.2s lap on his 2nd run. As I lined up for Run 3, I knew that Carl needed a 0.5s improvement to catch me but that if I could drop in a high 64s or lower 65s run the championship would be mine. Well, that is exactly how it worked out. Carl ran a monster lap under pressure on his 3rd run to take the lead by less than one tenth of a second. Because Carl was #96 and I was #99, I had already started my 3rd lap when Carl crossed the finish line to take the lead, but about 20 seconds later I came across the finish line with a 65.171s lap and the announcer exploded with "and Dave Ogburn re-takes the lead in A-Stock with a clean 65.171." At the time, I didn't know I had lost the lead, but it didn't end up mattering because my 3rd run was good enough to take the lead and the A-Stock National Championship by 0.077 over Carl Vanderschuit and the rest of the 17-car field. Carl is a great driver, especially under pressure. We had a good chat afterwards and he was incredibly gracious despite having his win snatched from him on my last lap. Congrats to him on a great 2nd place finish in such a competitive field. 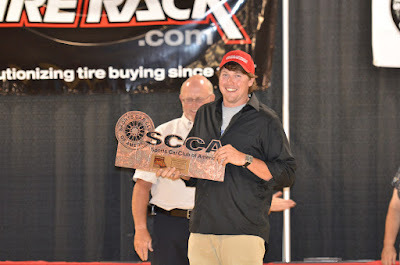 After a few more anxious moments waiting for the final drivers to complete their runs, I was declared the 2011 A-Stock Solo National Champion. Junior Johnson interviewed me on the radio broadcast which was followed by a barrage of congratulatory phone calls, text messages, and Facebook wall posts from friends and family. It was totally overwhelming and incredibly rewarding to win in such dramatic fashion. It made it even more special to have my Dad their with me to share the win with. Later that day, I was fitted for my SCCA National Championship jacket and received my huge SCCA trophy at the Solo Nationals banquet. In the end, Lane had a tough first Solo Nationals, but showed the he has the speed and talent to win in the future. If you take away cones, he had the 2nd fastest raw time over both days and finished with the 2nd quickest time on the Day 2 East Course. 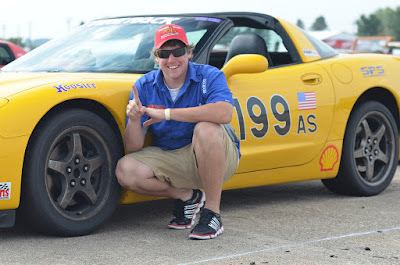 Due to his trouble hitting cones on Day 1, he finished in 9th place, but look for him to be the favorite in A-Stock next year when he returns to Lincoln with his #199 Yellow Corvette. Especially given how the 2011 Solo Nats turned out, I need to give a big-time THANK YOU to the following people: Lane Borg for doing a great job building and designing the concept for this A-Stock racecar, my Parents and my fiance Ali Rutherford for always supporting me, and Junior Johnson and Courtney Cormier for being great hometown friends and giving the right advice when I needed it! What an awesome victory. It was very special to share it with you. I look forward to seeing you defend your title. Yes, next year will hopefully be just as good!